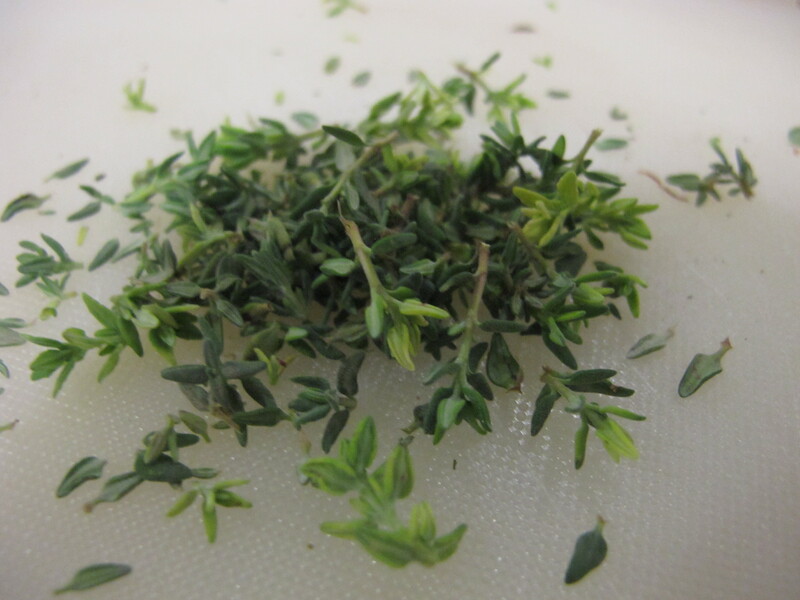 ½ tsp thyme leaves Grease and line a 19x9cm loaf tin with baking parchment. Set the oven to 160C/gas 3. Cream the butter and sugar until pale and fluffy. Sift together the flour and baking powder, and mix with the almonds. Lightly beat the eggs then fold into butter mixture in two to three goes, beating in thoroughly each time. If the mixture looks like it may curdle, stir in a little flour. 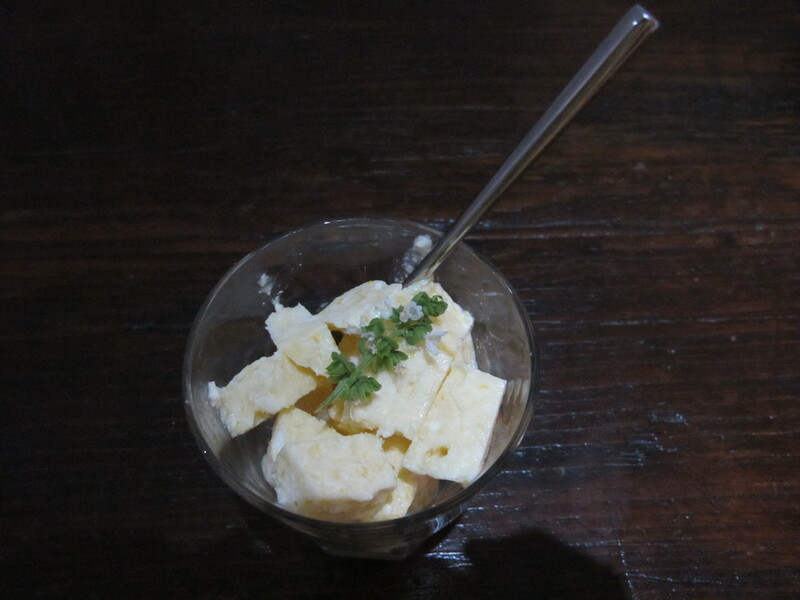 Grate the lemon zest and mix with the thyme leaves, pound the two together in a pestle and mortar. 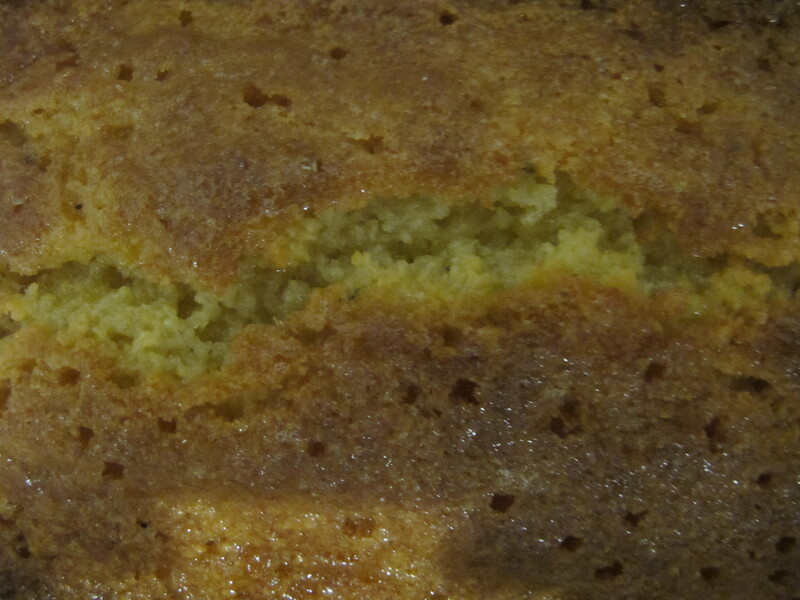 Add the lemon mixture to the cake mixture. Add in the flour, baking powder and almonds. Spoon into the loaf tin, and bake for 45 minutes. 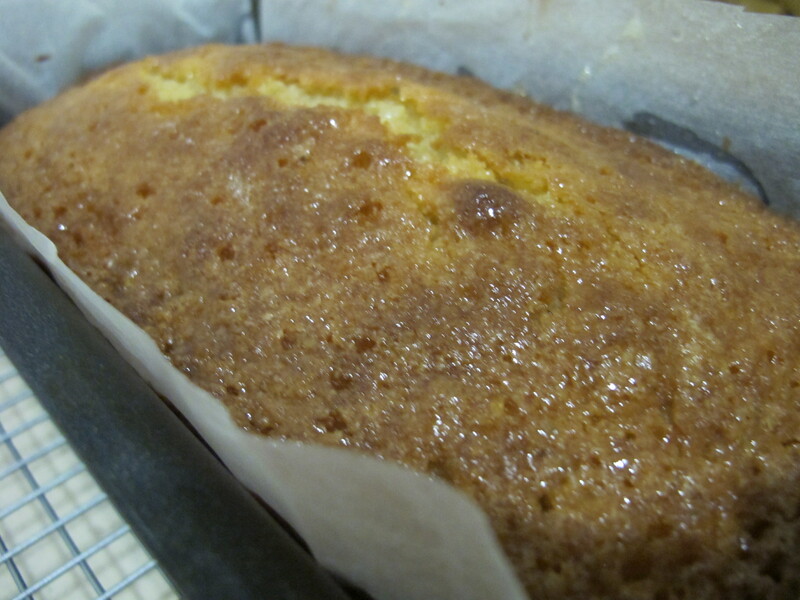 While the cake bakes, dissolve the sugar in the juice of two lemons, over a moderate heat. Stir in the thyme leaves, including a few thyme flowers if you have them. 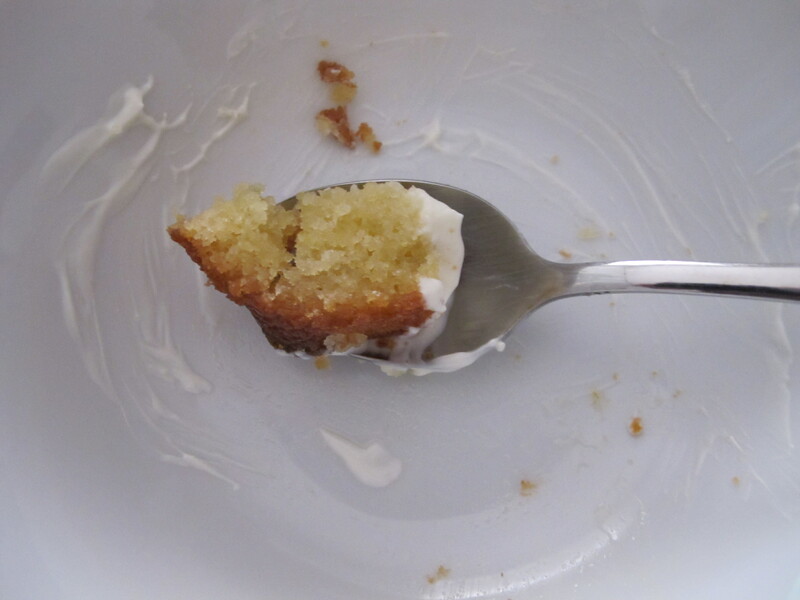 When the cake comes out of the oven, spike the surface with a skewer and spoon over the syrup. Leave to cool. 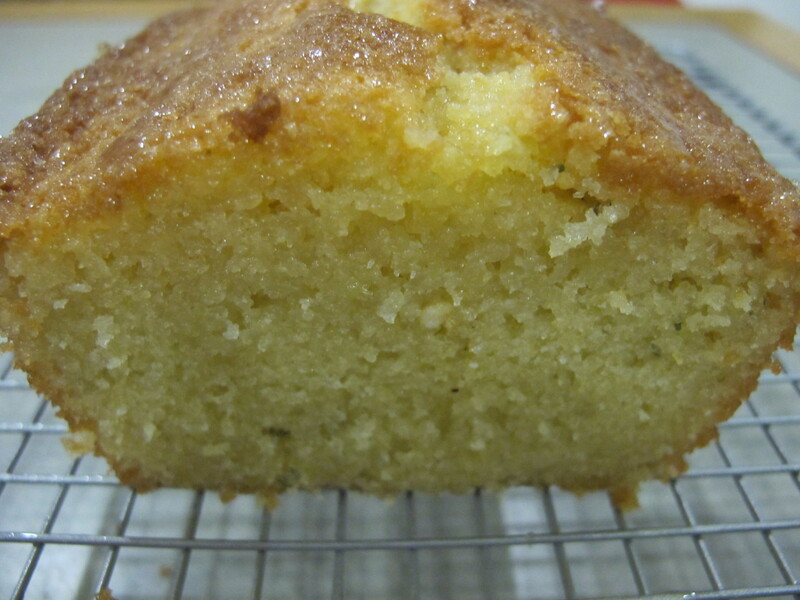 This entry was posted in A love of food and tagged Andalucia, food, lemon and thyme cake, Nigel Slater, Sandra Danby, Spain on September 22, 2013 by sandradan1. I challenge anyone to resist second helpings of this ice-cream. 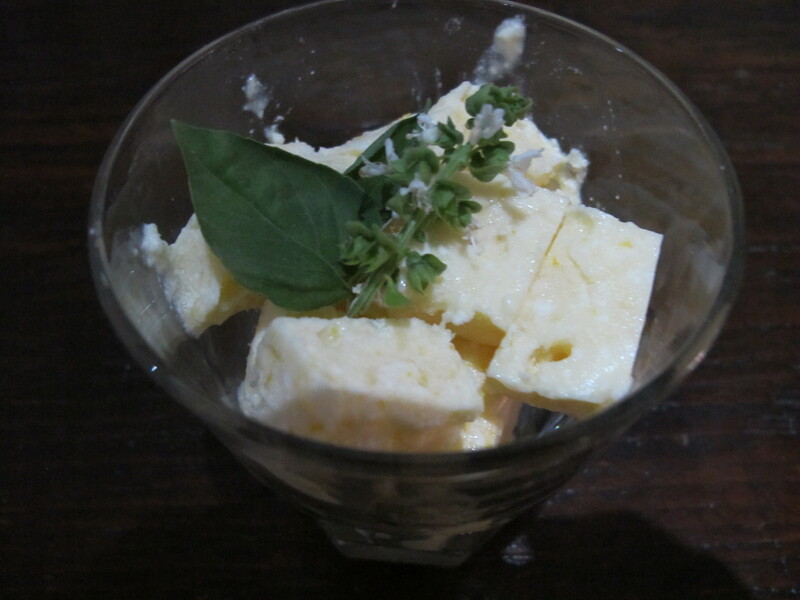 Actually it’s not just any posh ice-cream, it’s a parfait by Nigel Slater made using lemon curd. We used our own home-made, but it works too with a shop-bought jar of lemon curd. Nigel serves it cut in elegant slices, but we like it in chunks in a thick glass. Easier to eat that way when sitting with our feet in the pool, cooling off inside and outside. Take a cake tin or a plastic freezer box approximately 24cm x12cm x 7cm deep, lined loosely with cling film or waxed paper. Pour the cream into a chilled mixing bowl and whisk until soft and thick, stopping just before it forms stiff peaks. Crumble the meringues into the cream, vary the size of meringue pieces so the finished ice-cream has texture. Add the lemon curd, then the zest. Stir gently, try not to over-mix. Tip the mixture into the lined container, cover with a piece of cling film and put into the freezer until set. Depending on the temperature of your freezer, this will take about 4 hours. You can keep it in the freezer for several days. Remove it from the freezer before serving so it softens. 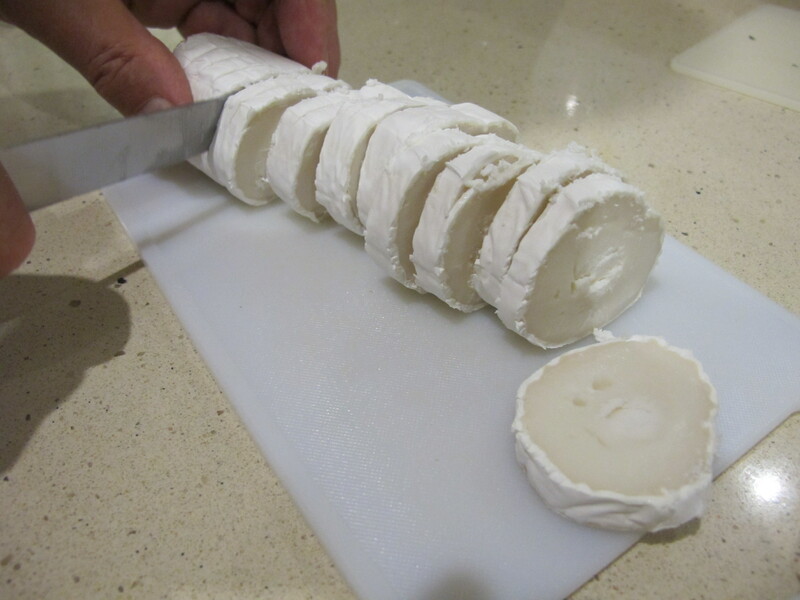 Serve, cut into thick crumbly slices. 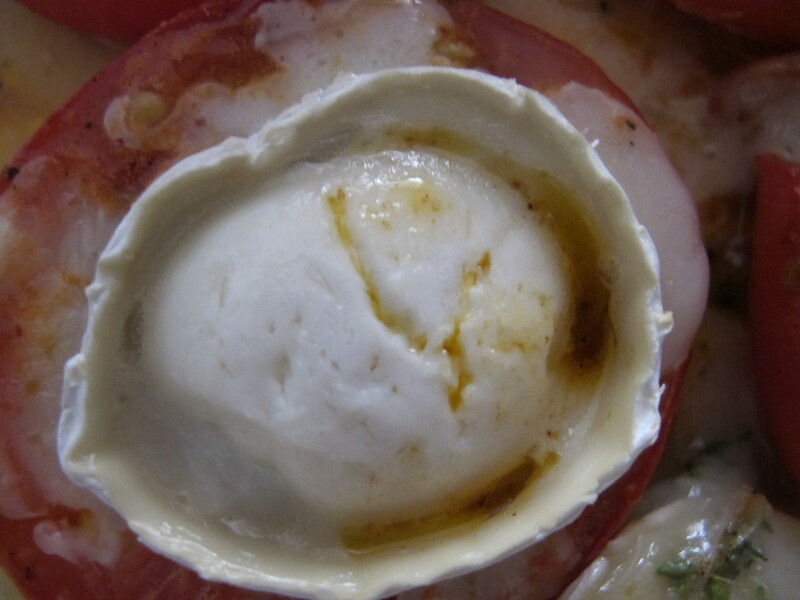 This entry was posted in A love of food and tagged Andalucia, food, lemon ice-cream, lemon parfait, Nigel Slater, recipes, Sandra Danby, Spain on September 1, 2013 by sandradan1. The tomatoes from our huerta will never win any beauty contests, but my do they taste good. The biggest and ugliest respond well to roasting, the heat of the oven softens and browns the edges and makes them look less nibbled where we’ve sliced off a patch of skin pecked by birds. Set the oven to 200C/gas 6. Wipe the tomatoes, cut out the stalks and cut in half [if you are using pretty supermarket tomatoes]. If however you are using ugly tomatoes like us, this is what we did. Skin the tomato in boiling water, cut out any not-so-nice bits. Cut in half or, if they are especially large tomatoes [and Spanish tomatoes can grow as big as grapefruit], cut them into thick slices. Grease a roasting dish and place the tomatoes, cut side up, snugly in the dish. Season with salt and pepper, tuck the whole garlic cloves in among them. Trickle over a little olive oil, just enough to wet the surface. Bake for 30 minutes or so until the garlic cloves are soft inside. Remove the garlic, return the tomatoes to the oven. Pop out the centres of the garlic cloves into a mixing bowl by squeezing them between your fingers: this is oddly satisfying. 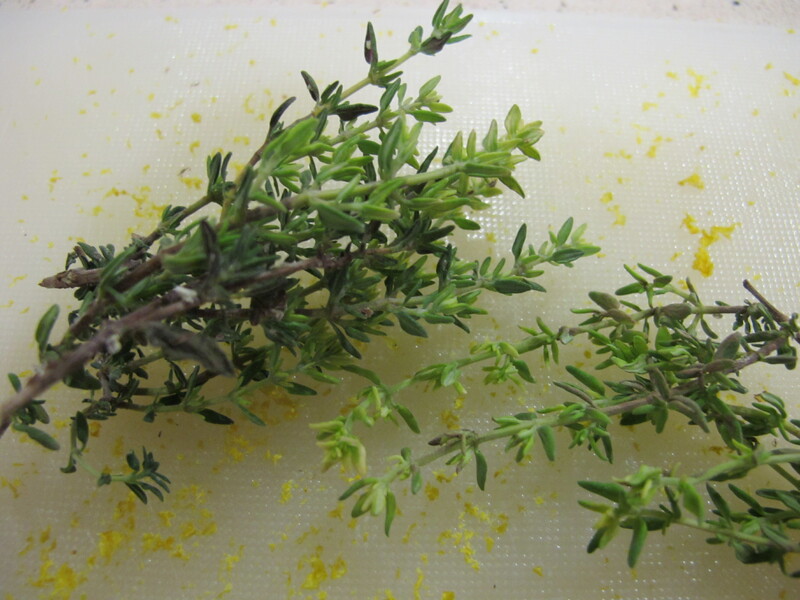 Add the thyme leaves, a little coarse sea salt, and pound the mixture together with a pestle or the back of a spoon. Spread a little on each tomato. 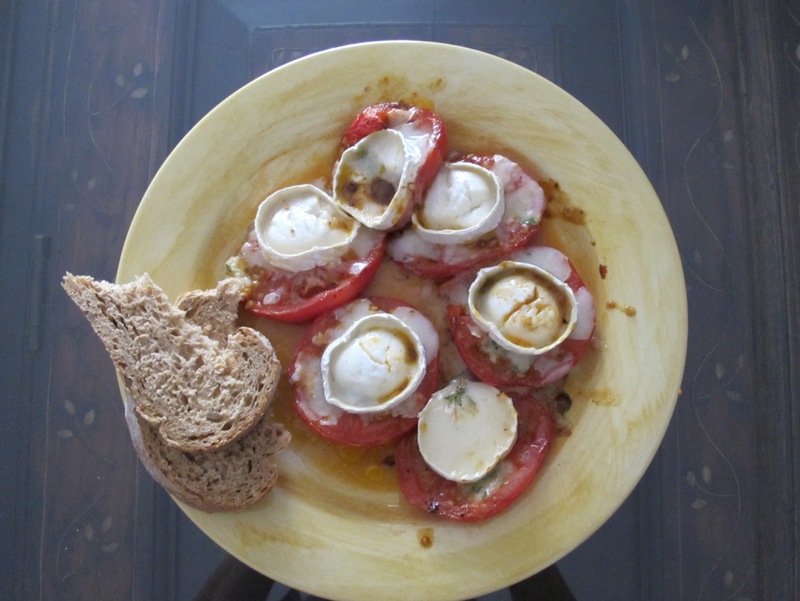 This entry was posted in A love of food and tagged Andalucia, food, Nigel Slater, Sandra Danby, Spain, spanish finca, wastenot on August 25, 2013 by sandradan1.